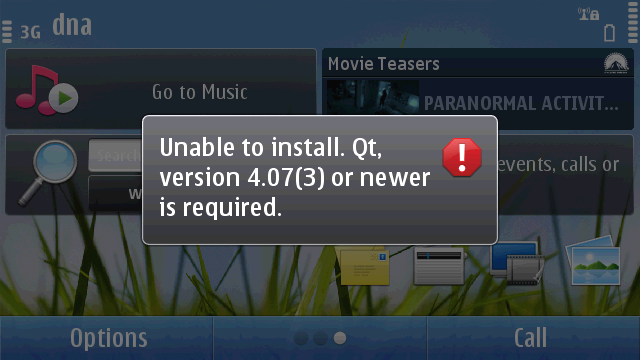 Qt v4.7.3 + Qt Mobility v1.1.3 + QtWebKit v4.0.8 Symbian Signed Download. This is Symbian’s Future based Application. – Qt 4.7.3 (for Symbian, desktop, and simulator) and Qt Mobility 1.1.3 APIs. – Qt Quick and Qt Creator 2.1 to provide a complete solution for UI development. – Tools for Symbian, Maemo, and desktop apps, including the use of native APIs. – Device binaries to enable apps created with the SDK to be run on Symbian devices. – Qt Assistant has been added as a separate package (the result of developer requests). – The installer can use system proxy on Linux. – Notification API is now marked as stable and has been moved to “Additional APIs”. – Several fixes have been made in the Qt Simulator and the installation/updating workflow.